One of my favorite author’s growing up was always Dr. Seuss. I loved the nonsense rhymes and the rhythms in his books. They were easy for me to follow and to read at a young age. Now that I am a special education teacher I enjoy sharing his books with my students because they find them funny, can predict the rhymes, and they are easy to read. Many of my students who struggle with reading are able to read his books. March 2 is Dr. Seuss’s and usually this is the day we celebrate Read Across America. However, because Read Across America is part of the National Education Associations push to read to children, this year it will be on Friday, March 1 so we can celebrate the event in school. Many of the teachers in our school make Dr. Seuss and Cat in the Hat crafts, read books by Dr. Seuss, and just promote reading in general. Since I love both baking and reading I decided to combine them into a fun day for my own students. We will be reading two of my favorite Dr. Seuss books, The Cat in the Hat and One Fish, Two Fish, Red Fish, Blue Fish. While reading my students will be enjoying Thing 1 and Thing 2 cupcakes along with Pink Ink Drink. 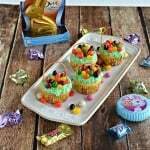 I know they are going to love the cupcakes! Do you need some more information on Read Across America? You can visit Dr. Seuss’s Seussville Page or the NEA’s Read Across America page. Either way, make sure you pick up a book and read with your child tonight! 1. Preheat the oven to 350 degrees. 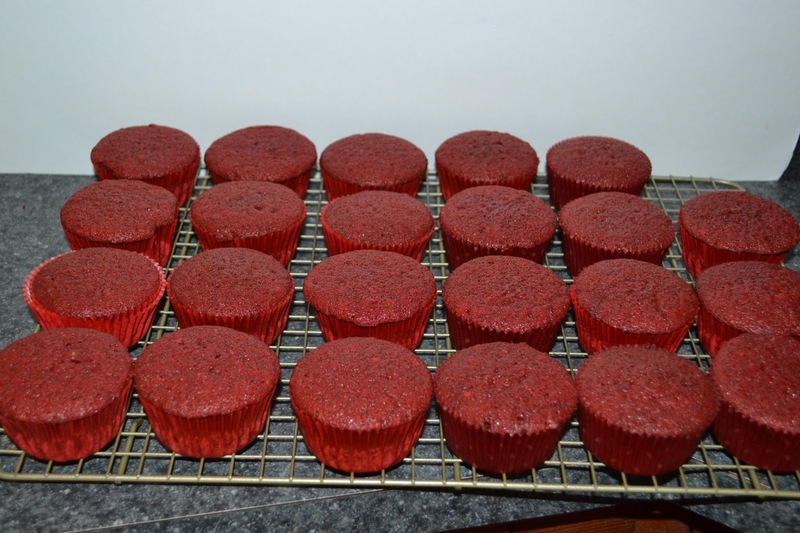 Place red cupcake liners in 24 muffin cups. 2. In a small bowl combine the flour, cocoa powder, salt, baking soda, and baking powder. 3. In a large mixing bowl beat the butter and sugar until fluffy. Add in the eggs one at a time beating after each addition. 4. Stir in the food coloring and vanilla. 5. Mix in 1/3 of the flour mixture and then 1/2 of the buttermilk, stirring well until combined. Then mix in half of the remaining flour. 6. Stir in the remaining milk and then remaining flour, mixing until just blended. Beat in the vinegar. 7. Divide the batter evenly among muffin cups, filling each 2/3 of the way full. 8. Bake for 20-24 minutes or until a toothpick inserted into the center comes out clean. Remove from oven and cool on a wire rack. 9. 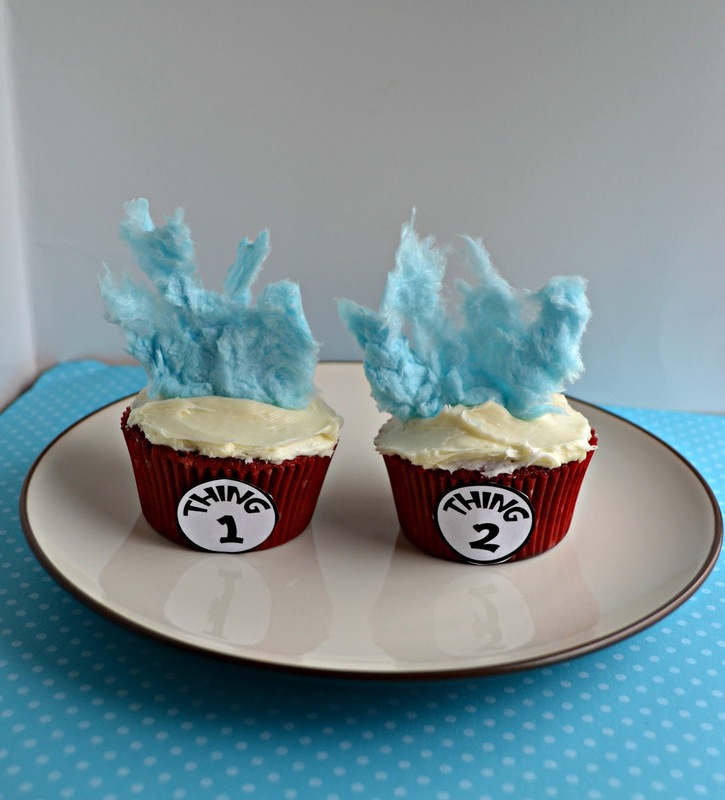 Print the Thing 1 and Thing 2 labels and stick them to the cooled cupcakes. I used double sided tape to do this. 10. To make the frosting beat the butter with a hand mixer on medium speed until smooth. Add in the vanilla and meringue powder. Add in the powdered sugar a half cup at a time until the frosting is smooth and at desired consistency. 11. 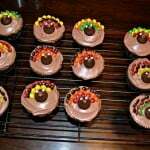 Spread a layer of frosting on top of each cupcake. 12. Just before serving fluff pieces of cotton candy and gently press down onto the cupcakes creating hair. These turned out so adorable! Perfect to celebrate Dr Seuss. My son’s preschool did Seuss last Friday and he just loves those books. So fun! Soooo. are you Thing 1 or Thing 2? 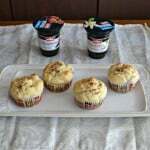 Please share this at Weekend Kitchen Creations, http://www.weekendkitchencreations.blogspot.com. 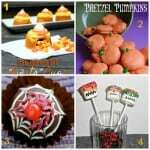 Join us, share your delicious creation and get other scrumptious ideas. 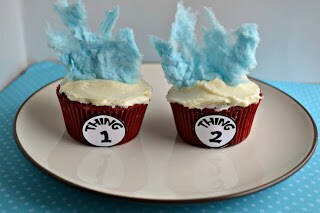 These are so cute… I just finished an article for Dr Suess’ birthday ~ these would have been perfect to include into it. Thanks for sharing on Foodie Friends Friday. what an adorable idea. Who doesn’t love Dr. Suess anyway. Thanks for sharing on Foodie Friends Friday.